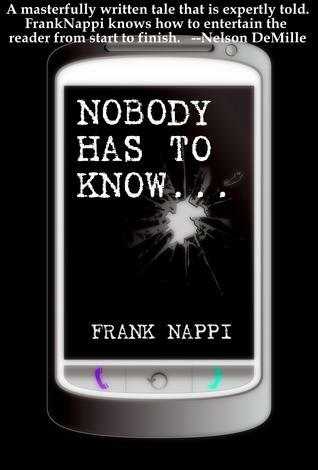 From Goodreads ~ Nobody Has To Know, Frank Nappi's dark and daring new thriller, tells the story of Cameron Baldridge, a popular high school teacher whose relationship with one of his students leads him down an unfortunate and self-destructive path. Stalked through text-messages, Baldridge fights for his life against a terrifying extortion plot and the forces that threaten to expose him. Nobody Has To Know is a sobering look into a world of secrets, lies, and shocking revelations, and will leave the reader wondering many things, including whether or not you can ever really know the person you love. Cameron ("Mr. B") is a popular 25-year-old high school teacher. He's been dating and living with Haley for a few years. Despite the fact that he is only a couple years older than his students, he has been able to maintain an appropriate relationship with them ... until Nikki comes along. With Nikki, he feels things he hasn't felt since his first girlfriend, Maleigha, when he was fourteen. Though he tries to resist, he can't fight it and he and Nikki begin a relationship. Cameron thinks he can hide the consequences of his actions ... but he can't. Someone knows and starts blackmailing him ... and the blackmailer is always one step ahead of him. And during all this, he and Haley are planning their wedding and she is getting mad because he's distracted and leaving all the arrangements to her. If she only knew!! This is the first book I've read by this author and I enjoyed it. An affair between a teacher and a student is always a touchy subject. I liked this book because it wasn't focused on the relationship itself but on how Cameron tries to hide that it happened. Just when he thinks he has everything under control, he is slammed by the blackmailer with threats and it's interesting to see how he deals with it. I liked the writing style ... it was well-paced and kept me wanting to read more. The story is told in third person so you get to read how Cameron, Haley, Nikki, etc. are feeling at the moment. It dips back in the past at times ... for example, when Cameron remembering his relationship with Maleigha. Despite the fact that I figured out the ending way before it happened, I enjoyed reading how the author got me there and was satisfied with how it ended (for the most part, it's how I would have ended it ... except for the last two paragraphs). Though he was an excellent teacher who could relate to his students, I didn't like Cameron as a person. I found him weak and it seemed to be always all about Cameron. And because I didn't like Cameron, I was cheering every time the blackmailer pushed him again and again. Ha! I found Haley a bit annoying at times. She had a tough life growing up and tended to whine about it at times. But she was justified in her frequent freaking out on Cameron. It's a testament to the writing that I enjoyed the book despite disliking the main characters. This is a dark look at the consequences when a teacher has a relationship with a student and I'd recommend it! As a head's up, the language and activity are mature at times. 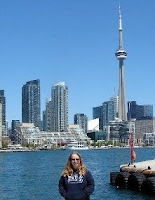 Wonderful review, so what inspired this book, if you don't me asking? I love the premise of this story! Is it finished or is there a sequel? I don't know why but I'm always fascinated by Student-teacher relationships...Excited to hear more about this book through the tour! Hm, I thinks it's quite an interesting plot I hope the story has a happy end of sorts? Sounds very intense--thanks for the honest review! Who would you like to play your hero and heroine, should your book be picked for a movie? This had to be difficult to write. Sounds as though you did a great job. Hm, student-teacher relationship sounds interesting, that he still has a fiance doesn't make me like him, though. Why did you choose a student-teacher relationship, how old is Nikki, when they meet? Is Nikki of age? I mean of course it would be scandal if the teacher had an affaire with a student but if she is a minor, that's a criminal matter and I'd guess the blackmail would be even more serious. Thank you so much for this insightful review and for all of these comments. As of now NOBODY HAS TO KNOW does not have a sequel. I don't want to say too much about the ending - whether it was happy or sad - it will ruin it. As far as the inspiration - I have been a high school teacher for over 20 years, but the book is totally fiction!!! I hope you all read and enjoy. Is this a YA title? New Adult? Adult? Whew! This one sounds intense. Thank you for an insightful, honest review! Controversial to say the least. This is going to be a very interesting read. Good review! I, too, enjoyed this book. Does your partner need to know your passwords?